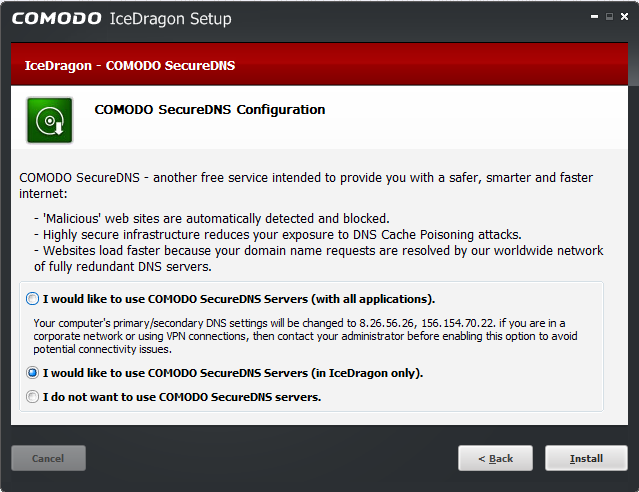 Enter the (Ice)Dragon: Comodo IceDragon Review - bzzzt! Bit of a departure from typical typical subjects today as I provide a quick review of a new web browser I’ve been using for the past few months, Comodo’s IceDragon. Despite being a big fan of Microsoft software, I can’t profess to love everything they do . Back in the days of Windows XP and Internet Explorer 6 I used to use Internet Explorer but even then, with no apparent competition, I knew it was garbage. As soon as Mozilla came along with Firefox I installed it and loved it since the start. The idea of tabbed browsing and installing add-ons to your web browser was great, plus it crashed a lot less. And Firefox’s arrival opened up the browser wars again (one which both Mozilla and Microsoft are losing). Increased competition is usually a winner for the consumer, particularly in this case as web browsers are free. 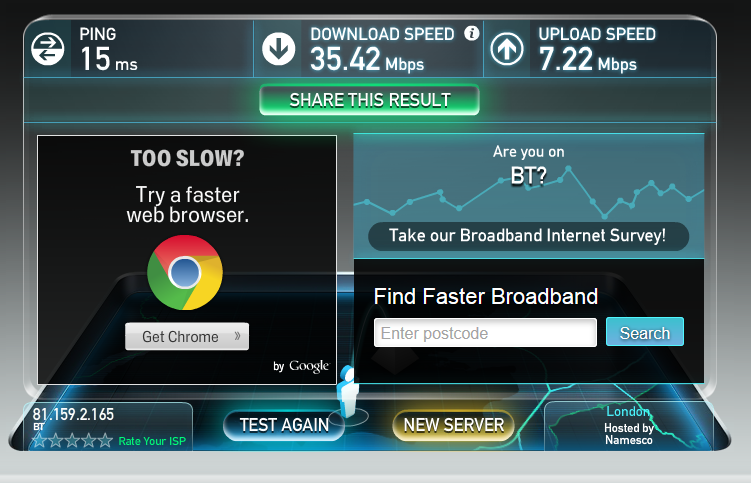 So there’s no issue in downloading, trialling and then uninstalling if you don’t like a particular web browser. Ironically all this may come at a time that is too little too late, and the browser wars are perhaps less relevant these days what with the dwindling sales of desktop machines. Irrespective of that fact, computer security firm Comodo Group have recently released Comodo IceDragon. You have already heard of Comodo Dragon, which is a secure web browser that is based on the Chromium browser. Comodo IceDragon is an Internet browser based on Mozilla Firefox v22, which, according to Comodo, features “several security, performance and feature enhancements over the core build. Fully compatible with Firefox plug-ins and extensions, IceDragon combines the freedom and functionality of Firefox with the unparalleled security and privacy of Comodo.” Most browsers focus on speed whilst others focus on customisation or extensibility, but Comodo’s objectives with both Dragon and IceDragon is focusing on security without compromising on the speed. Currently there is no 64bit version, but I have downloaded the 32 bit and tried it on both Windows 7 and Windows 8 in the past few weeks and I am very impressed. 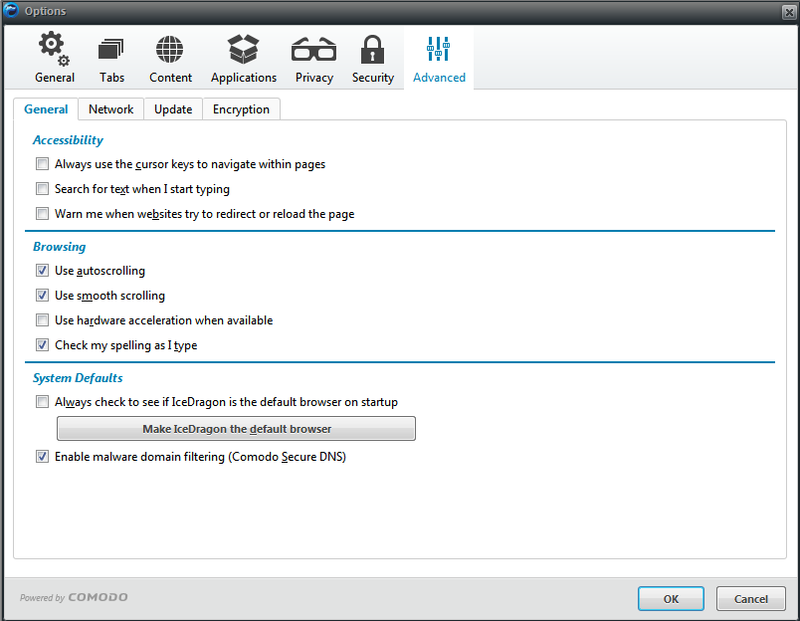 Comodo have taken Firefox and added 2 key features that piqued my interest in trying it out. It takes a while for the scanning to run, like a good few minutes. When it is finished you can see from the results of the Threat Report that the scanning is very thorough, and you can learn more about the scanning by clicking the “what’s this?” report. You even get to see domain registration details available via WhoIs, administrative contacts and a history of previous malware scans on that website. When you install IceDragon you are given the option to use Comodo’s Secure Domain Name System (SecureDNS) servers for free. This service replaces your existing DNS Servers and sends/receives all requests exclusively through Comodo’s SecureDNS servers, which Comodo claims to allow for faster and more secure web browsing. SecureDNS references a real-time block list (RBL) of harmful websites. Comodo claim that this provides extra security by filtering out phishing, spyware and malware websites etc. Using a service like SecureDNS means that and threat is scanned and detected before you visit the url itself, wheras for anti virus software to detect the threat the page has to be loading. This is by no means a bad thing, however something like SecureDNS, a free service provides an extra layer of security without any additional hardware or software installation. I opted to trial out the SecureDNS service with IceDragon only. It’s a shame that I cannot specify which applications as it may interfere with something like CharityEngine. Of course if you want to turn it off/on then you can via the Tools>Options>Advanced menu. Ok, but How much Faster is “Faster”? 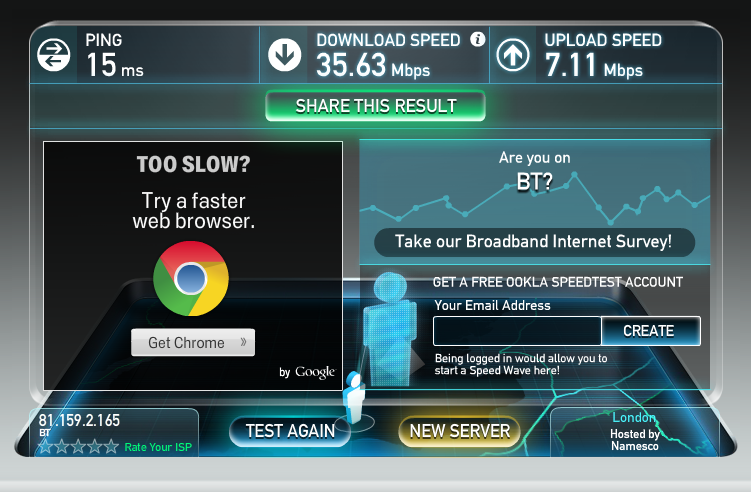 So IceDragon appears to be faster on the download but slower on the up… not too sure about this. If I had a variety of connections to test I would, however I think from my quick test I can safely say that IceDragon might marginally speed up your browsing experience, and it definitely does not make it slower, which is the result that everyone who uses SecureDNS wants to hear. Security is usually the priority over speed so it’s great to use a service which provides the security without compromising on the speed. The review on CNET also found that IceDragon is quicker than Firefox though admittedly slower than Chrome. Comodo IceDragon is a great web browser if security is important; I know my brother has a laptop that his entire family use, and who knows what sites kids might accidentally try to access. And for someone like my brother, who doesn’t have the time or the inclination to go reading about DNS and setting up something like Open DNS, the option to download and install an app that takes care of that at the click of a button is something that would be very welcoming. For a power user who is more internet savvy and has anti virus running, or for a large corporation, the idea of running something like SecureDNS is probably less enticing than OpenDNS. Even someone who’s interested in computers (like say me) who doesn’t really care about customising the list of sites via Open DNS, just so long as the alternative (SecureDNS) works well enough, why wouldn’t I want to install and have IceDragon running, particularly if I can have my add-ons still working? I typically have two different web browsers running at any one time, and it used to be Chrome and Firefox. Now, I use IceDragon and Firefox. Comodo IceDragon is available from CNET or directly via Comodo. As a total digression, back at TechEd 2012 there was a lunchtime Q and A with Jeffrey Snover. Jeffrey is a great guy and he was talking a lot about PowerShell, and one of the things he talked about was why they made PowerShell from scratch instead of extending something like cmdline. Essentially there was too much entanglement between Microsoft’s products and pointed to Internet Explorer as a great example: it’s impossible to uninstall Internet Explorer completely because so much of what is encoded within IE is also used elsewhere in Windows. He said that he was skeptical himself when Microsoft stated that you cannot uninstall IE, but it really is true because of the amount of shared code. Jeffrey may work for Microsoft, but at the same time I think he’s an honest guy and actually not the Ballmer-type cheerleader for everything Microsoft does and I totally take him at his word on this.